This is my blog and personal webpage where I will continue to explore the power of laughter to heal the human body and mind. Thanksgiving. It’s always been one of my favorite holidays, and today, while watching Planes, Trains and Automobiles on a crowded plane, I reflected on why that is. What is it about the idea of coming home? The beloved American songwriter Stephen Foster wrote “no matter how far we travel or what sadness the world imposes on us, all our hearts ache for the best memories of childhood, the security of a family and parents, and the familiarity of a home.” That certainly explains a lot of it, but looking back on my early life, the memories are far from perfect. Why are we so quick to forget the bad and remember the good during these moments of nostalgia? 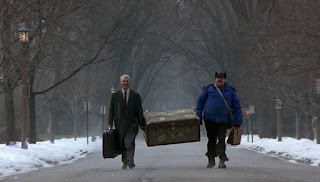 My answer to this question came in the unlikely form of John Candy, who throughout the movie I mentioned bumbles and stumbles through his life like a wounded trooper, his heart entrenched firmly in the past while he humbly tries to negotiate the present. The current narrative of his life reads like a very messy novel with no clear path to a peaceful resolution. But we find out there is one thing he has truly excelled at in his life. He has loved well. 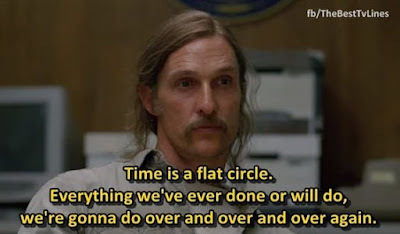 At one point in his journey he has truly shared his chaos with another person, and the memory of his time with his wife is enough to keep him going. It is a poignant lesson from an unlikely hero. But that isn’t the end of the story. Through his interactions with his counterpart Steve Martin we see that perhaps, despite his chaotic life, he still has something to teach. Martin’s character is a busy man, and although he loves his wife and kids deeply, his life is in some ways passing him by. Through his constant struggle for the legal tender he has forgotten an important lesson, and somehow this all crystalizes for him in the form of an obese guardian angel that came crashing into his life, seemingly out of nowhere. What we are left with is the idea that people all long for some kind of human connection. Even those of us who appear the “toughest” or most distant. Plato said, “Be kinder than necessary, for everyone you meet is fighting some sort of battle” and I think this is very true. Simple moments of human connection make these battles so much more bearable. Which brings us back to the idea of giving thanks. Thanksgiving brings us all together for a brief moment to celebrate perhaps the most important antidote to skepticism and resentment, and that is gratitude. Thinking about the things we have versus the things we don’t is an important battle in this life, and often, for one day at least, we spend a little time with the people who know us the best and figure out what it is we have. Sometimes this isn’t so apparent, and families can often be incredibly chaotic and dysfunctional. But if you’re like me, you too may one day find yourself a long way from home and actually missing this chaos. So dust off the china and tap the boxes of wine. Years ago when I was a kid, I remember reading Sports Illustrated, (Crossing my fingers for a swimsuit) when I came across an article about Howard Cosell. The title of it was “I’ve won, I’ve beat them” and it talked about how Howard had risen to the top of his profession despite a number of people from all walks of life that wanted to see him fail. That phrase always stuck with me when I was a kid, and it became kind of an inspirational mantra to me when I felt like life was beating me down. Time passed and I forgot about this comforting phrase, but a few weeks ago it came back to me. I was standing on a platform, now officially a doctor, and listening to people politely clap as I moved across the stage. Ten hard years of study and sacrifice and now I was officially a made man. I had won, I had beaten them. But what had I won exactly? And who had I beaten? I thought back on all of those people from my life who sought to kill my dreams, or tell me I wasn’t good enough or smart enough and smiled. Far from discouraging me, those kinds of voices had provided motivation to keep on going when things were at there worst. As much as I would like to find those people and gloat for a minute, I realized they weren’t the enemy. Not really. No what I had really beaten was the little voice in my own head, always present, judging, criticizing, telling me I didn’t deserve to live the best life that I could. Taking that voice on proved to be the toughest challenge of them all. I believe we all have this kind of self-sabotaging voice in our heads from time to time, and it is often as persistent as it is relentless. This voice creates limiting beliefs which convince us to settle for a life that is good enough rather than one we truly desire. We convince ourselves that we are too old, or too far behind, or simply not good enough, when in reality these barriers exist exclusively in our minds. Breaking through these limiting beliefs requires we take a path completely different than the one we are acclimated to. When we deviate from the path eyebrows are raised and whispers begin. Who are we to go against the grain, and why are we rocking the boat? What I’ve discovered however, is that until you confront these limiting beliefs, you are always going to play the game of “what if” with yourself, and this can destroy you. So, having reached this point in my life, I’ve come to understand that all of my personal failings, all the tears, frustration, broken hearts, and floundering around in the dark. All of these things are now the fuel that will perhaps assist me in helping others break through their own limiting beliefs. What hadn’t occurred to me in my darkest days, was that these very moments would one day crystallize into a kind of wisdom that could be of some use to others. It’s a powerful responsibility. 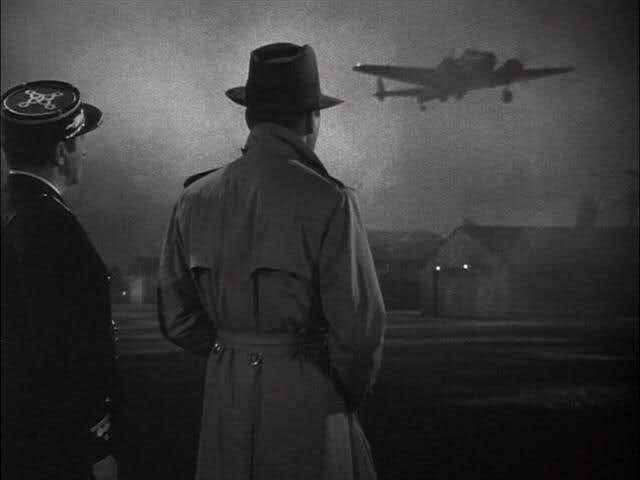 All of this came into my head when I was watching Casablanca the other day and found myself fixated on the final scene, where Victor Lazlo tells Rick, who is now a completely transformed man, “Welcome back to the fight.” I think about this idea as it relates to my own life. At one time I was an idealist, and truly believed that the power of ideas could change the world. Somewhere along the way I’ve lost some of that, but I also believe, finally, that all of these lost ideals are starting to return. When you transform yourself you also come to realize that it’s just the beginning. There are millions of lonely and scared and tired people out there who have lost their way, just as I have, many, many times in my life. I will give them everything I can, because I’ve been there. I look forward to returning to the fight..
Dr. Joe Guse is a former comedian from the Pacific Northwest, who performed around Chicago for several years before deciding to go into psychology as a career. Joe made this seemingly odd transition after working as an entertainer in nursing homes, where he found that there was a very strong relationship between laughter, resilience and healing. This relationship between laughter and mental health has been the crux of Joe's work as a psychologist, and he has since written 19 books on various topics detailing his experiences integrating laughter into his work. Joe splits his time between Los Angeles and Auckland, and also does seminars around the world helping people explore the relationship between humor and mental health in their own lives. Joe holds 2 Master's degrees in Human Development and Counseling Psychology, and a doctorate in Clinical psychology. He is a Clinical Psychologist registered in Illinois, Washington, New Zealand and Australia. Somehow We Manage. 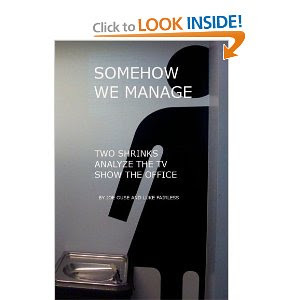 My book about the Tv show "The Office"
Short Stories about Alzheimer's disease. Thoughts on a missing friend..
Are you becoming unstuck in time? How the Marx Brothers brought Norman Cousins back to life. Between what is said and not meant, and meant and not said, most of love is lost. Watermark theme. Powered by Blogger.